REMINISCENCE: A short trip back to Ipoh once again! 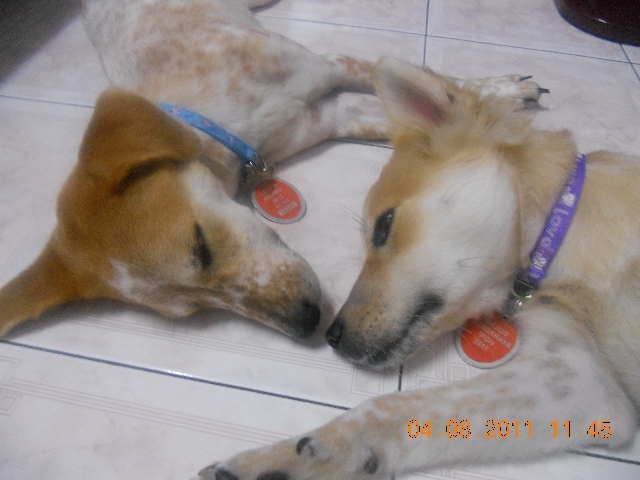 I was back in Ipoh for a while to get my certs and I spent some time playing with the Elles. They slept more than play. I let them into the house for almost one and a half hours and they slept like babies. 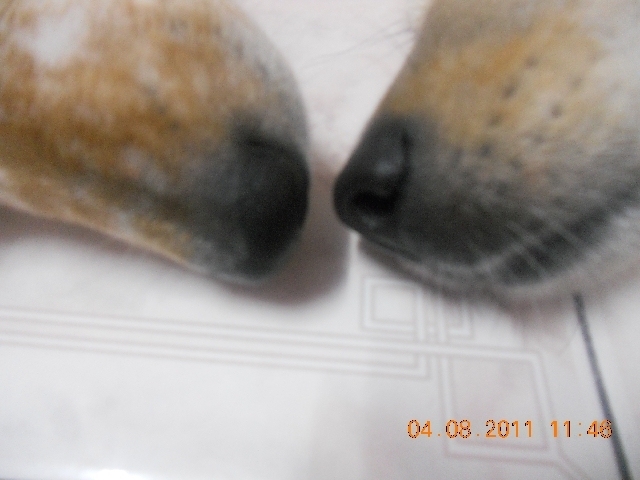 They sleep nose to nose. Speaking of dogs, here is a cute video of a dog jumping into the water. SPLASH SPLASH!!! I had an adventure today. I left my purse together with my bus ticket in it in the car which my sis had driven to college and my dad drove like Batman to get to her college so that I could retrieve it. Made it in time to the bus station but the bus was not there yet. Then at 4pm, when the bus was about to move, an old lady said she left her luggage and went down to retrieve it but it was actually inside the luggage compartment on top of her seat. Finally reached home at 8pm and now I am sitting in front of the laptop typing my adventure. There was a bit more to it about how I met a Chinese Indonesian lady who spent 10 days in Penang and how sardine-packed the Rapid was. Good thing I got a seat or else I would be sandwiched by the people. im glad youre working at rsr now officially, congrats!